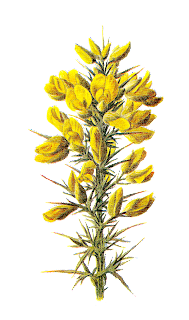 This is a brilliant digital wildflower image of the wildflower, Furze. I love the little yellow flowers. They look like pieces of buttery popcorn! 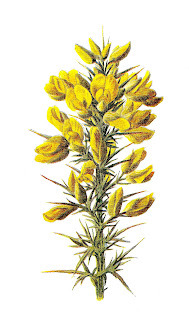 I created this wildflower stock image from a vintage, rustic illustration from an 1885 book on wildflowers. The detail is spectacular! I hope you enjoy this digital flower clip art for your handmade greeting cards, invitations, and many other handmade gifts.